Everything you need for your Q-400 boarding operations. 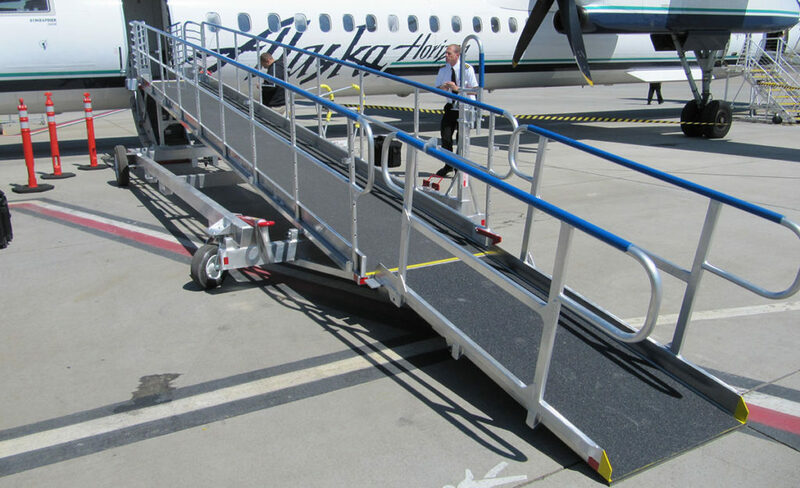 The Q-400 boarding system package allows for Simultaneous boarding/deplaning at both the L-1 and L-2 doors using either the Turboway boarding ramp or the Regional Express ramp and the Q-step and Q-stair. Ground crew personnel have access to the R-1 door for galley servicing using the Q Maintenance stairs and passengers can place planeside checked baggage on the DXR baggage cart. This overall Q-400 system also allows the under wing area to be cordoned off, directing the passengers around this area and as a result, improving the overall safety of the passengers and security of the aircraft.